I am so very honored to announce that for the 3rd year in a row, Kristi Spouse Interiors has won best of Houzz 2016 for both Design and Customer Service awards. Only 3% of the companies on Houzz win both awards, so we are very thankful to be included in with this talented group of companies. Pantone colors of the year announced. Rose Quartz and Serenity. With shades of baby blue and pale pink, Pantone released their new colors of the year, Rose Quartz and Serenity. My first thought is to congratulate a proud couple on their new baby boy and girl twins, but that is not what Pantone has in mind for these colors of the year. We are so excited to announce that we have been included in the November/December issue of Traditional Home's Holiday issue. It was great to work with the staff at Traditional Home and so fun to see our project come to life in the pages of the magazine. Kristi Spouse Interiors was recently nominated for the Seattle Design Awards as a 2015 FINALIST for BEST USE OF COLOR - RESIDENTIAL. We are very honored and thankful to be recognized by SEATTLE DESIGN AWARDS along with all the other great designers in the Seattle area. The awards evening was focused on Interior Designers in the Pacific NW and benefited a great cause in LADYBUG HOUSE. Thanks to Dlist magazine, Purehome and Brazen Sotherby's. Thankful for great customers, colleagues, friends and family who continue to support me and to the Houzz community for voting for Kristi Spouse Interiors for Best of Houzz in Design and Client Satisfaction for 2015. So excited & honored to have Traditional Home Magazine in our home today for a photo shoot for possible inclusion in the 2015 Holiday Issue. They loved our peacock blue themed Christmas Tree and table settings. There are lots of empty Christmas presents under the tree :-) Christmas is extended just a few more days.... Can't wait to see the results in November 2015. Fun article from today's Puget Sound Business Journal on Cool Commercial Spaces. This was a commercial project we did for my brother in laws company in 2012. Two things I loved - the creative freedom he gave to design a daring orange retro themed 1970's office and the vintage telecom theme that fit his company perfectly (check out the vintage working orange phone we found). We don't usually focus on commercial projects and hardly ever use orange.... but this was super fun. They say "Third Time's a Charm." So this is the second Kitchen remodel we have worked with my client on in the past year! After a great outcome on a kitchen remodel on their first house, our client decided to sell their home in a great market and quickly moved on another home a few blocks away that fit their needs better. They are very happy the second time around. We love the before and after photos. 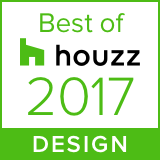 Kristi Spouse Interiors is very honored and excited to announce it has been awarded “Best Of Houzz” by Houzz, the leading platform for home remodeling and design. The Seattle Interior Design Firm was chosen by the more than 16 million monthly users that comprise the Houzz community. Kristi Spouse Interiors was awarded "Best Of Houzz" awards is in two categories: Customer Satisfaction and Design. Kristi Spouse Interiors Furniture Sale ! Kristi Spouse Interiors is having a furniture sale! Sharing some Christmas cheer at the Spouse house.